Can you tell us what’s been happening so far this year in the world of Lisa Lashes? With lots of gigs, Studio sessions, music releases on Pharmacy, Critical Overload, Fraction Records and a track a month coming out for 2014, things are pretty busy in the Lashes camp. What exactly is your involvement with the daytime event, at the BMC? I’ve teamed up with Urban Beauty United who is raising awareness through their make up accessory brand by way of looking to help and encourage more female DJs and artists into the music industry. Anne Savage and I are doing a talk on the male to female ratio we see today and try to address this and make a plan with the help of the industry people to change this. What Advice would you give to up and coming DJs or producers trying to break into today’s dance music scene? If at first you don’t succeed, try and try again. It’s hard out there at the moment, as so many people want to be a DJ now technology has made it easier to do so. Use any knock-backs or negativity to make you stronger and never give up. I hear you have been mentoring a very new up and coming DJ, Miss Dimples? I’ve been aware of Darcey for a while, she’s a little firecracker and knew exactly what she was doing behind the decks. She certainly acts like she’s older than 11 and she’s a determined aspiring role model for all young girls, hopefully one day she will be on the big stages. If you had not become a successful DJ, is there a different career path you may have chosen? Music is my life; I think we just found each other else I really can’t say what I would be doing. Clubbing in the UK has taken a massive hit over the last few years but with JOOF Editions we are finally seeing a change in direction in clubbing as a whole, a very positive underground movement is starting to emerge once again. Would you agree with this? Yes, I feel it’s become a little too commercial in the UK, people focus on big events and forget about the weekly/monthly club nights around them. Radio stations are playing more mainstream music than ever and I really don’t want to hear the same music when I’m out in the supermarket as I do when I’m in a club. Youngsters don’t really have as many clubbing options as they used to just a few years back. I can sense an underground movement forming getting ready to explode which hopefully will revive the club scene the UK once pioneered. Forever pushing the boundaries, your musical styles have changed over the years; are we hearing more psy-trance in your sets lately? I don’t like to just pigeonhole myself to one style. My sets are made up of energetic dance music including Psy, Prog, Techno and anything that I know will make a dance floor jump. You have had amazing releases this year on Christopher Lawrence’s Label - Pharmacy Recordings with ARPwave. Can you tell us more about these tracks, are there more releases coming? Working with Christopher has been great, his team are very professional and their music is of a very high & unique quality. And yes, I have lots of great new music ready with releases on Critical Overload, Nutek and Audio Overload including remix’s by Casey Rasch, Chris Voro, X-Noize and Painkiller plus collaborations and remix for Champa on his label. I’ve got a really exciting year ahead of me. You’ve been in the studio with Vicky Devine recently; can you tell us if there are more collaboration in the pipe line? That’s the first this year so far with Vicky. I’m releasing a collaboration with Dean Badger and I hear Allen and Envy are doing the remix for this one, which I’m excited about. I’m always open to suggestions on collaborations if we can work musically. Not only are you a world class DJ, you’re also promoter of your own extremely successful brand – Lashed. Are there any plans for events this year? Being a globetrotting DJ for many years now, what’s the one thing you miss from home? Thanks for your time Lisa, we’re looking forward to seeing you on the 11th! All images courtesy of Lisa Lashes. Not to be reproduced without permission. Ticket Info: Fri - Exhibition Ticket - Ticket includes entrance to the exhibition and 20 master classes & showcases per day. Sat - Exhibition Ticket - Ticket includes entrance to the exhibition and 20 master classes & showcases per day. 2 Day - Exhibition Ticket - Ticket includes entrance to the exhibition and 20 master classes & showcases per day. More: The FIRST annual electronic music conference in the UK run by the industry for the industry. Tickets start at just £8 for an exhibition day pass which includes the exhibition, masterclasses, showcases and Q&A's. Music: Trance. Acid Trance. Tech Trance. Deep House. Prog House. Electro House. Acid House. Tech House. Acid Techno. Deep Techno. Funky Techno. Minimal Techno. Techno. Club Classics. Electro. 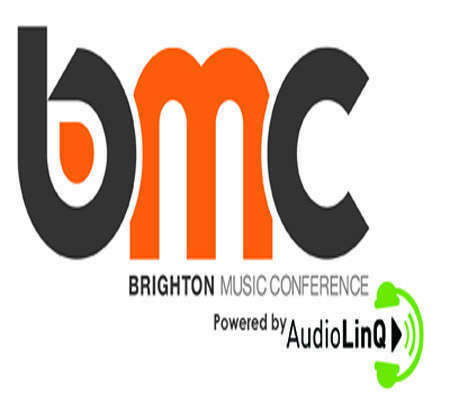 More: The First-ever Brighton Music Conference (BMC) launches this April in the south coast city, and is being billed as 'the first annual electronic music conference in the UK run by the industry, for the industry'. A Number of leading Dj's industry figures and industry people have already signed up for a series of panels, talks, seminars, exhibitions, showcases, networking opportunities and club nights over the course of the two-day event. BMC have teamed up with local promoter and JOOF Editions resident Dj to host one of the many evening club nights to be held over the weekend. Friday the 11th of April, at one of Brighton's best kept secrets - The Loft will play host to an array of industry leading Dj's, all of which have carved there own unique mark into dance music over the years. Many of whom will also be giving talks, at seminars over the weekend of the BMC. Music: Trance. Hard Trance. Tech Trance. Psy Trance. Funky House. Hard House. Prog House. Techno. They're a bit special. Zoney & Louk get stuck in to each other.